After playing basketball at Ohio University, Harold “Doc” Daugherty took a job teaching and coaching job at Euclid High School in 1956 and had so much fun that he stayed for 44 years. Long before he retired in 2000, Daugherty was considered the dean of the prep coaches in the Greater Cleveland area. He had plenty of success. In 40 seasons as head coach at Euclid, his teams won 16 league championships – six in the Lake Erie League and 10 in the Greater Cleveland Conference — and 597 games. The Panthers reached the Class AAA semifinals in 1968 before losing to unbeaten Columbus East. Thirty-six of his players played college basketball. 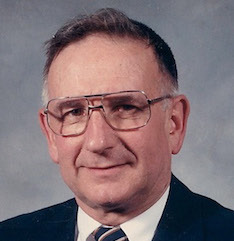 He was Ohio Division I coach of the year in 1990 He was inducted in the National Coaches’ Hall of Fame in 2000 and the Ohio Basketball Coaches’ Hall of Fame in 2002. He served two years as president of the Ohio High School Basketball Coaches Association. 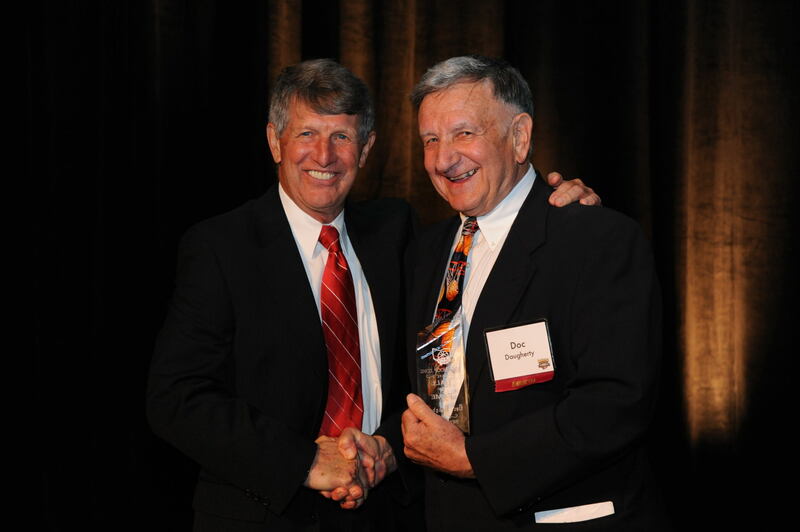 Daugherty is co-founder and co-chairman of the Ohio Basketball Hall of Fame.